“Mzungo, Kimbia!” Translation: White man, run! If you travel to the Rift Valley and walk on the clay dirt roads you’ll hear this encouragement, receive the admiration and looks of pure joy from young Kenyan school children every run. Eventually, you’ll start to feel as if you’re their Santa Claus. The sight of a foreign runner in their land is something very special. And at an elevation of over 7,000 feet, dirt roads all around in every direction and thousands of elite runners abound there is truly something special about running in the Rift Valley of Kenya. Rise to alarm of the rooster clucking, get out of bed and get pushed by some of not just the fastest, yet also the friendliest runners in the world. 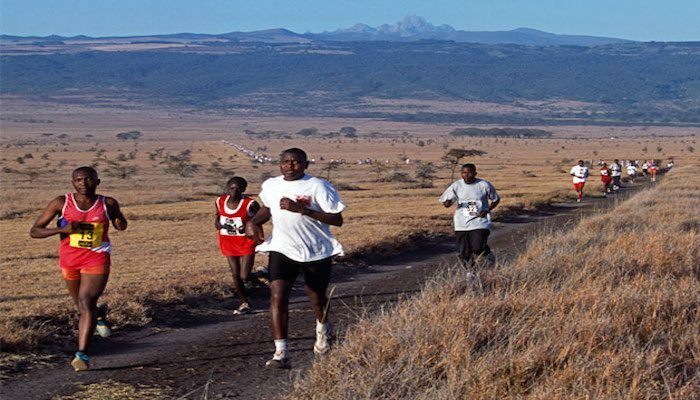 We’ve listed some routes in the areas of Eldoret and Itan — epicenters of running in the Rift Valley, where the Kenyan greats have called home and trained since their rise to glory at the 1968 Olympic Games in Mexico City. Some of the loops included have the footprints of world record holders, but don’t let that scare you. Quite often many will run at a recovery pace known as the “Kenyan Trot.” Maybe you’ll be lucky to be joined by a new fast friend. This was written by Chris Barnicle, our All American runner contributing editor, who spend several months training in this region a few years ago. 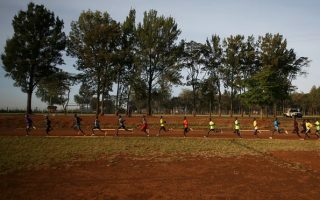 Runners from all over the world flock to Iten for the opportunity to train with the best in the world. Incredible views over the edge of the Rift Valley. We feature four among the many running options in Iten. One of two running epicenters of the Rift Valley, along with Iten. We feature Chepkoile, a dirt track that attracts elite runners daily; and Nangili Road, road of the 'tallest and fastest'. The weather in Iten is relatively stable; mid day temperatures are almost always between 18-25 degrees Celsius, or 64-77 Fahrenheit. At night and in the evening it can be colder, so we would advice you to bring a sweater. Between December and March it is mostly dry. April/May is often a rainy season, as well as August/September or September/October. During the rainy seasons Iten experiences a lot of rain, but this mostly falls in the evening and night. Also in the rainy season it is no problem to train, just like the Kenyans do, but since the roads can be muddy early in the morning, one may be forced to do the morning session at 9.00 or 10.00. 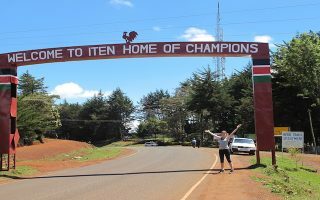 Because Iten is a destination for many world class athletes, the town offers some world class accommodations. Along with Lornah Kiplagat, Wilson Kipsang, former men’s marathon world record holder, also has his own Keellu Resort center for guest to stay. There are a few smaller and cheaper hotels in the town center but can only be booked in person. Finally, the Kerio View is a popular hotel for paragliders, runners and travelers from all over the world. Discovery Kenya Cross Country: Where athletes display and discover their talent every January. Open to all levels of runners, and includes a junior race. Ziwa Farmers 10k: A new road race for men and women of all levels. Also includes a 5k race for boys and girls. December. Discovery Half Marathon: Just a couple weeks after the Discovery Kenya Cross Country meet, the city of Eldoret hosts a highly competitive half marathon.